This is a great way to use up your day old bread. 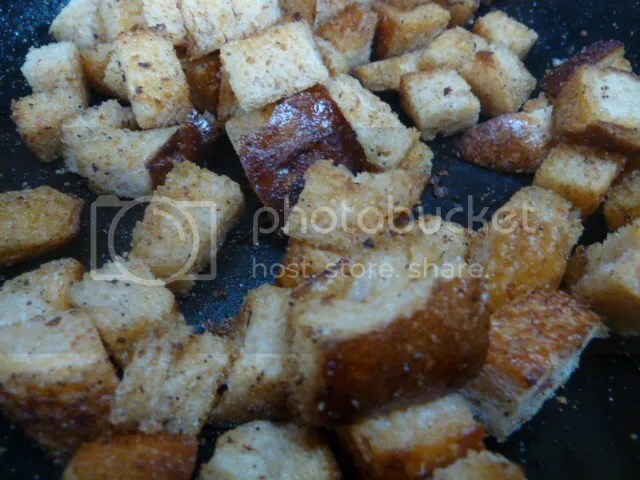 And make your own croutons for salads, Soups, etc. When you make your own you know what goes into them. You can also add your own flavors. 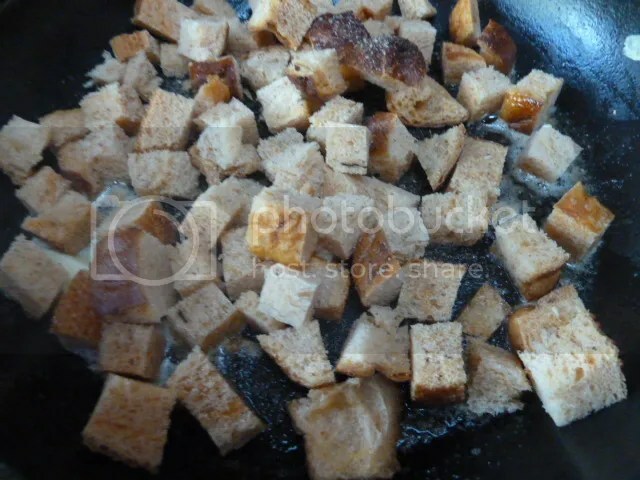 Dice bread into the size you want your croutons to be. Mix with salt and Olive Oil. Heat heavy bottom pan (I use cast iron skillet) to Medium heat and fry the bread until nice and golden brown. Cool and use on salads and or soups. 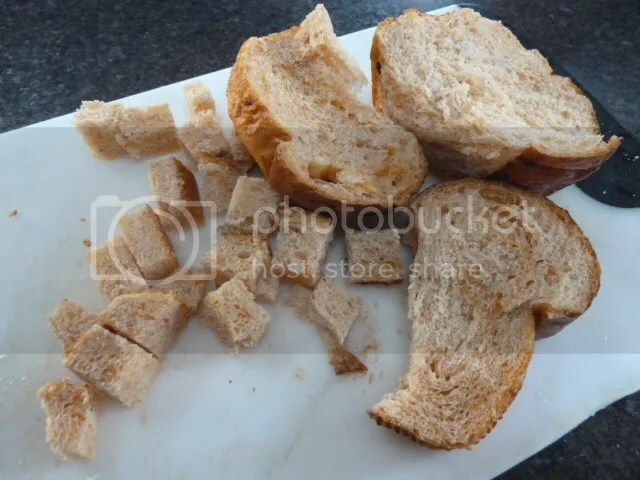 using butter will make your croutons taste like it has butter stuck on bread.